Are you a morning person? I’m really, really not. My brain is all foggy and sometimes I wake up just feeling sick. Coffee makes me jittery so that’s not much help and if I eat sugar, I usually crash and am starving a few hours later. Stomach growls are kind of awkward when you’re sitting in the middle of a classroom where you’re not supposed to eat! 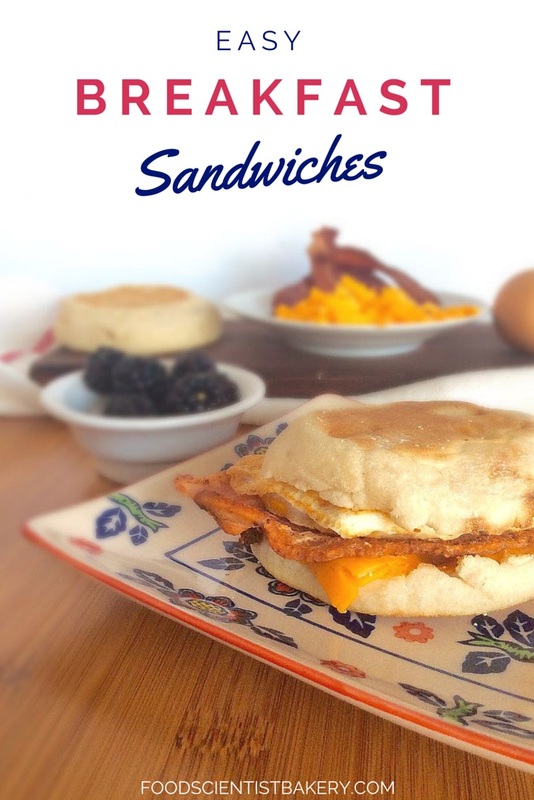 To solve this social dilemma, I make breakfast sandwiches that are packed with protein to keep my stomach quiet until lunchtime. 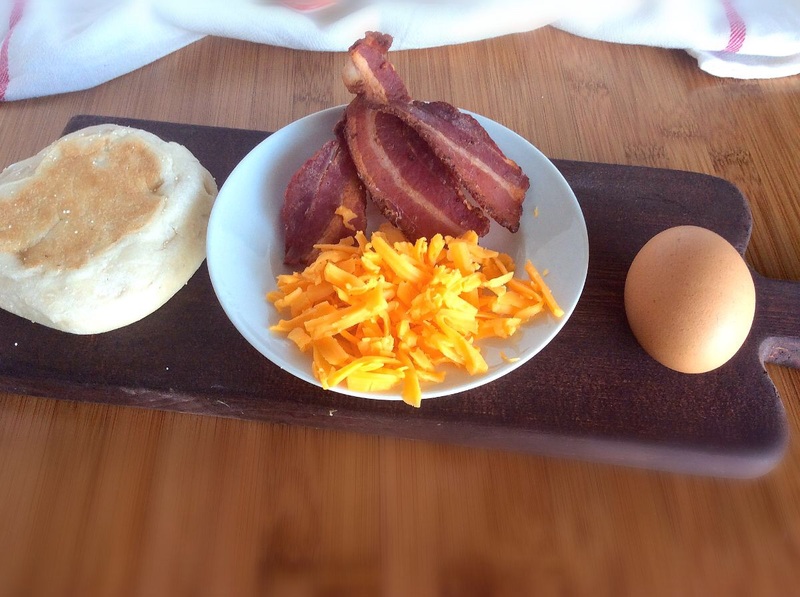 All you need is english muffins, some bacon, cheese of your choice, and an egg! This is such a handy meal to make for breakfast. You can make a bunch of them in advance and package them up so that in the foggy mornings you can just heat it up and eat, no thinking required. That’s my kind of meal! These are similar to Egg McMuffins, but I think the taste of the fresh cheese and egg in this is much better! This is more of an instruction manual than a recipe, because the ingredients are very flexible! You can add some veggies to your egg (spinach, peppers, ect. ); use sausage instead of bacon or skip the meat; and skip the cheese or use a different kind (Brie would be amazing). I’m attempting to make english muffins from scratch soon! I tried once last year and failed horribly, so it’s time to try again! Toast muffin. Add cheese. Fry egg in small skillet (sprayed with cooking spray). Use spatula to keep egg from spreading while cooking, so that it fits on the muffin better. Fry bacon. Top muffin with egg and bacon. Let cool for 10 minutes, then wrap or place in tupperware and store in fridge. Can keep for 3-4 days, so I like to make enough to last most of the work week! I’m with you on those foggy mornings! I will never be a morning person and I take a “grab and go” approach to breakfast. This looks so hearty!